Danielle Falzon is a visiting researcher, completing her PhD in Sociology at Brown University in the United States. She completed her Master’s degree in Sociology at Northeastern University in 2016 and her B.A. at Vassar College in 2012. Her current work focuses on climate change and global inequality, with an emphasis on displacement and both economic and non-economic loss and damage in climate-vulnerable nations. 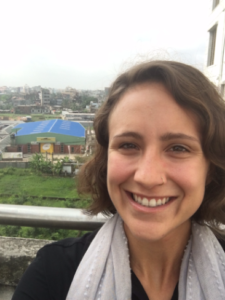 At Brown, Danielle is a part of the Climate and Development Lab, where she works with a team of researchers to analyze the work of the United Nations Framework Convention on Climate Change (UNFCCC), producing reports and policy briefs on key issues in negotiations.